Cincinnati-Waiting around for doctors' appointments and physical therapy can hinder a wounded warrior's morale. That's the predicament Spc. 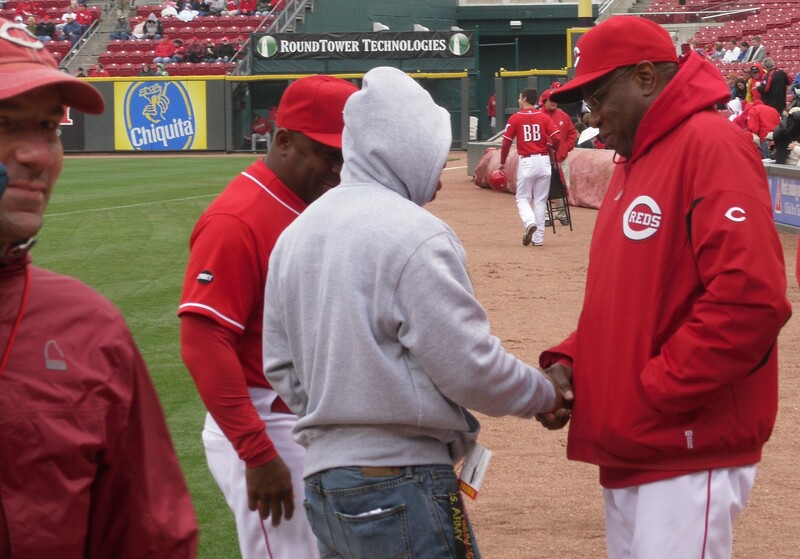 Joseph Nelson, 396th Engineer Company, was in when the "Thank you Foundation" teamed up with the Cincinnati Reds to lift his spirits. 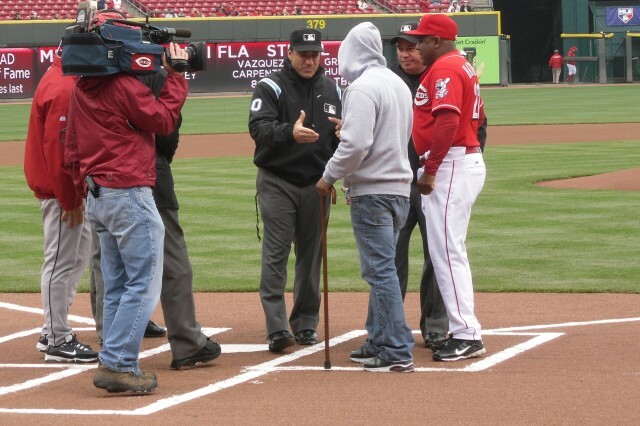 The Reds made Nelson an honorary captain during their home game against the Houston Astros on May 4th. He accompanied a Reds team member to deliver the line-up card to the home plate umpire, and he interacted with other players and Rosie Red, the team mascot. "I never thought I would ever be able to meet those guys and shake their hands," Nelson said. 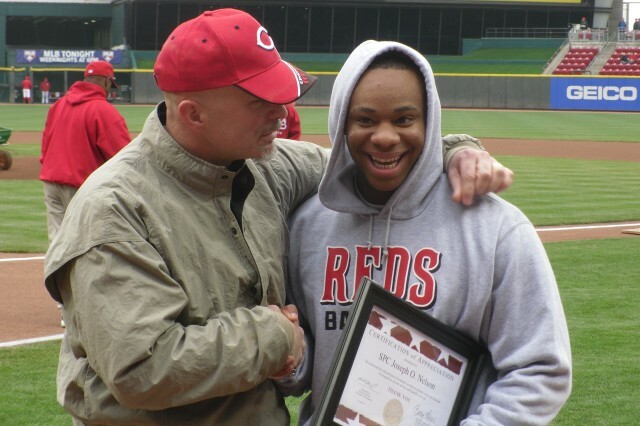 The Thank You Foundation, a non-profit organization that supports veterans, service members and families, also presented Nelson with a Certificate of Appreciation for his service and sacrifice. Nelson suffered a concussion and a knee injury after his Husky route-clearance vehicle hit a roadside bomb during a mission last year in Afghanistan. The Kistler, W.Va. native volunteered for the deployment with the 806th Engineer Company, out of Conway, Ark. 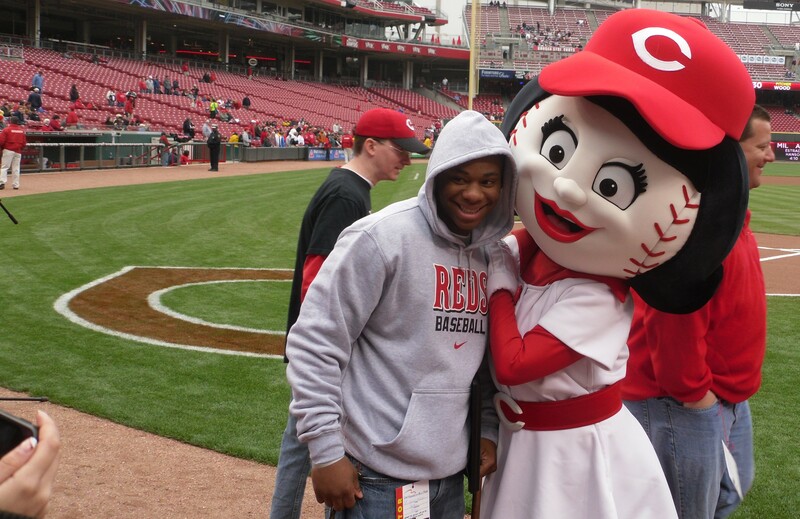 He’s been going through recovery and rehabilitation at the Fort Knox, Ky., Warrior Transition Unit since January. In an attempt to break up Nelson’s monotony 1st Lt. Kristin Shaw, 478th Engineer Battalion, planned the occasion with Command Sgt. Maj. (Ret.) 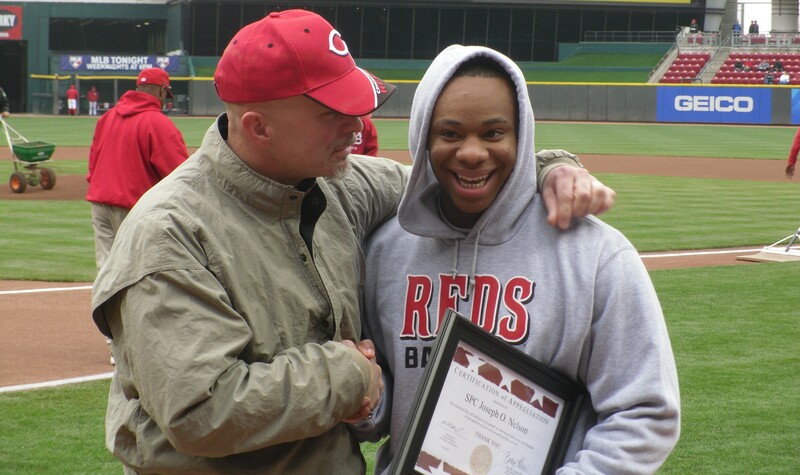 Michael Boyd, a former 478th Soldier and current “Thank You Foundation” board member.